Luck & Power: What’s it all about? Congratulations, fellow hunter! The King has decided that your services to the Kingdom of Gnawnia are greatly needed! He has given you permission to help out with this tiny little problem the Kingdom‘s been having. Actually, it‘s somewhat bigger than that… Well, yeah, actually it‘s a pest of epic proportions! 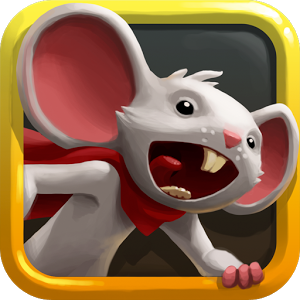 Soon you‘ll be dealing with mice that make the creatures in your nightmares seem like fuzzy little puppies! Welcome to living life in 15 minute intervals! or through a quick search in the Forums. The abbreviations I use should be self-explanatory, because I will have used the entire term of what they stand for beforehand. When there‘s an abbreviation you aren’t quite able to crack, this page may be helpful. 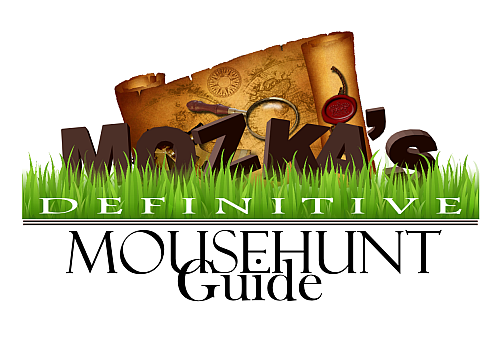 MozKa, congratulations on putting together such a wonderful guide. Thanks for sharing this too. Happy hunting! Aaawww, thanks!!! 🙂 And you’re welcome, writing this guide has been a lot of fun! I returned to check my trap, but it appeared A Diamond Mouse ate a piece of cheese without setting off my trap. what does this mean? do I need more power? Keep up the good work! I keep going back to this guide all the time! Really enjoying your hard work….. I can see this will be a stop in when I have to revisit places I haven’t visited in a long while…. Thanks! Congrats on getting your guide stickied 😀 awesome work! I notice this just now, congratulations on direct link to your guide under “Kingdom” tab in-game! I’d need a little more information 🙂 Can you post your MH profile link? Just click on your MH shield and “copy link”. Hi MozKa – Any luck with the new area? Are the devs giving you a head start on getting through it? My team has been working through it and think we have a fair amount of it figured out, but wonder how close you are to completing it. Thanks for the EXCELLENT guide. Extremely well put together and very nice looking. no, the devs don’t give me a headstart, I’m just another hunter, like anybody else playing the game 🙂 I get the same information and the same timeframes as you guys do. I’ve been in the new area from the start and have been hunting fairly regularly. Caught 3 Acos so far. I’m at the point where I’m getting into the details and already formulating strategies in my head to write about. Your where to go next guide. They did mention that you have the option of getting the zugzwangs scarf by catching icewing with Mk3 and unlocking seasonal garden or tribal acolyte dragon chest. It is in the adventure book this way and on the wiki. Yes, I know that you can get the scarf by catching icewing. And because, as you say, it’s in the adventure book and on the wiki, that’s why I didn’t mention it. People can do their research and will find this easily enough.